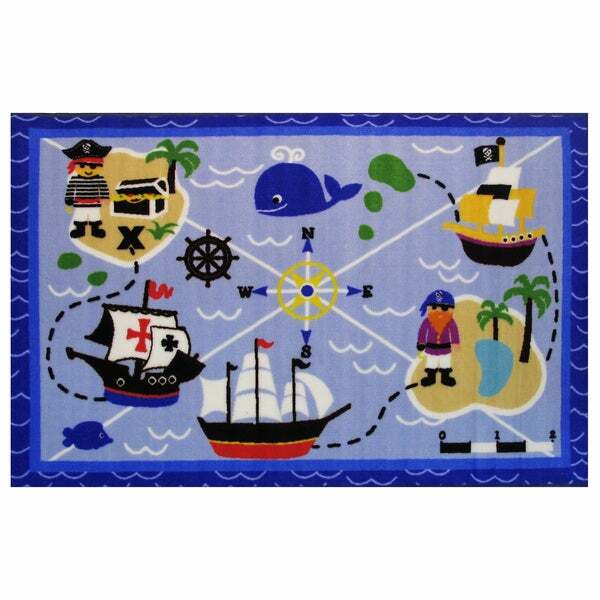 This rug is adorable in our Pirates' Bunkroom at Tiki House vacation rental. We looked for a rug that was going to last and stand up to the rigors of guests and cleaners and so far so good. It went perfectly with our decor and pirate theme and has lasted. Easy to clean too! My son loves this rug and it has added some colour to his room. My son loves his pirate play mat, especially the whale. Tge colors aren't as bright as I would like, but he thinks there fine and it is his room so...5 stars. Safavieh Lyndhurst Traditional Oriental Sage/ Ivory Rug - 3'3" x 5'3"